Let your customers see how tough your company is with this uniquely designed Expedition Carabiner shaped USB drive. This particular drive is perfect because it is built for any situation. 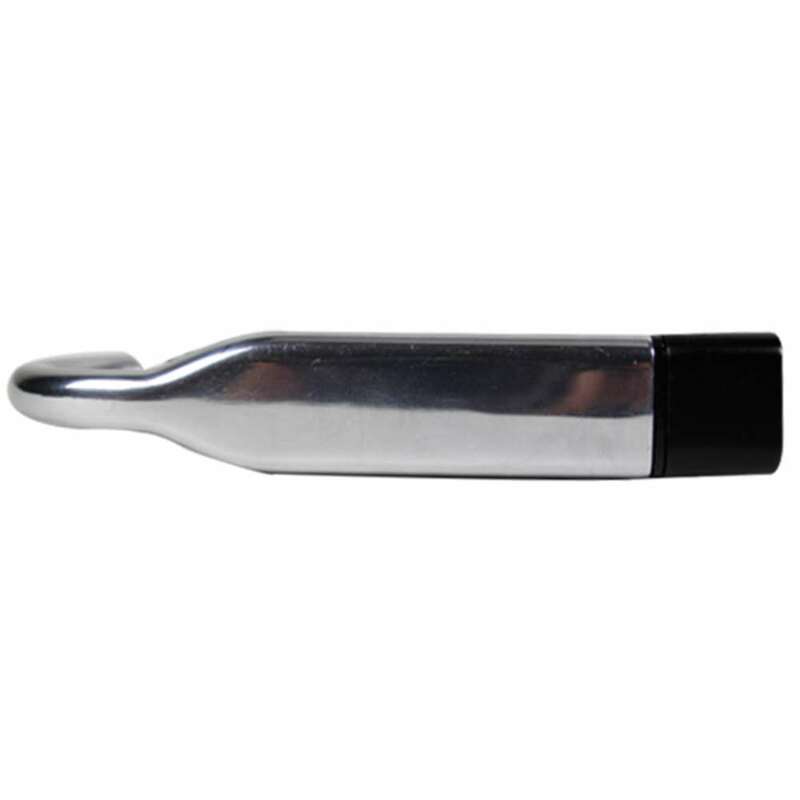 This drive, made up of chrome metal, has a flat surface making it perfect for silk screen printing your logo onto. 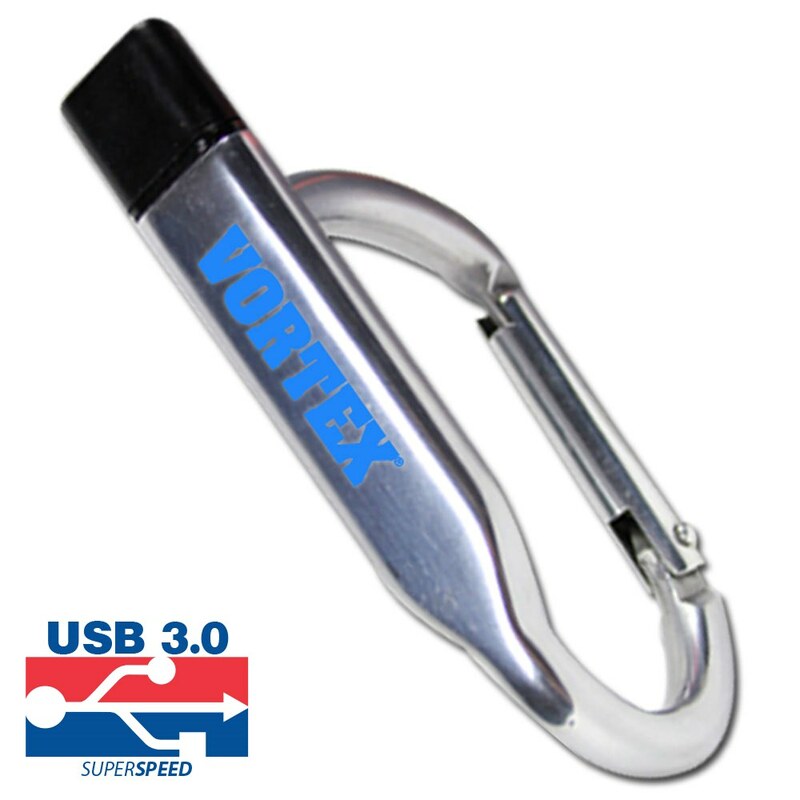 Perfect for those that love extreme sports and the outdoors, you can use this USB to promote your business to enthusiasts of all types. 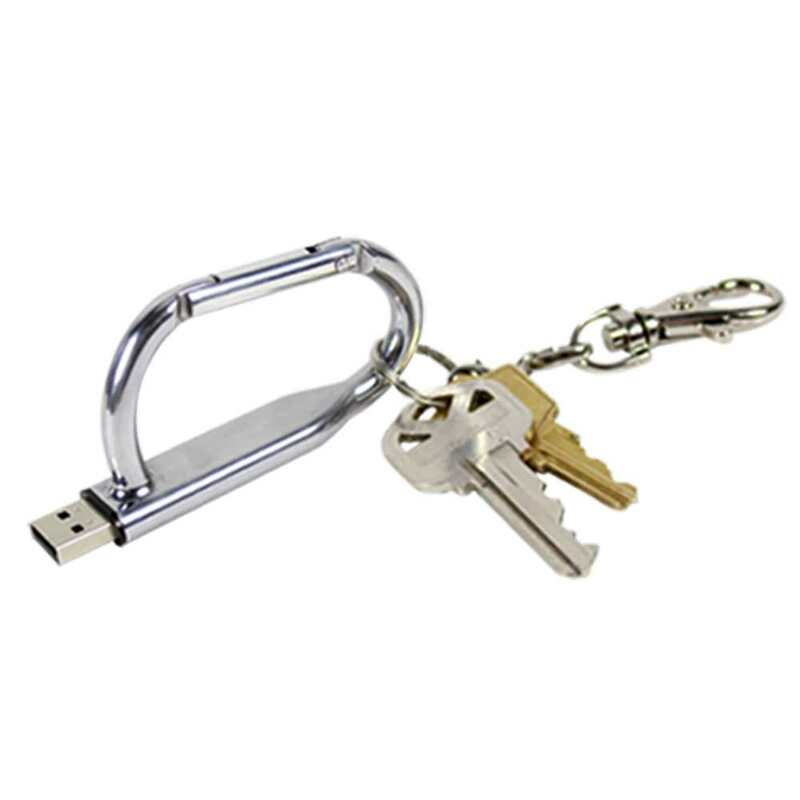 A built in clip in the drive’s design allows you to easily take this USB drive with you wherever you go with the carabiner add-on. Let your customers enjoy a USB drive as tough as them. These USBs would make a great marketing tool for camps, auto shops, sporting good stores, lodges, motorcycle and auto garages, hardware stores, along with many others. Give your customers the message that your business is reliable and tough with this durable Expedition Carabiner shaped USB flash drive. If you’re looking for a marketing project that combines utility, practicality, and marketing capability, then the Expedition Carabiner promotional USB drive is for you. With its sturdy design and carabiner capability, your customers will come to see your company as tough, too. 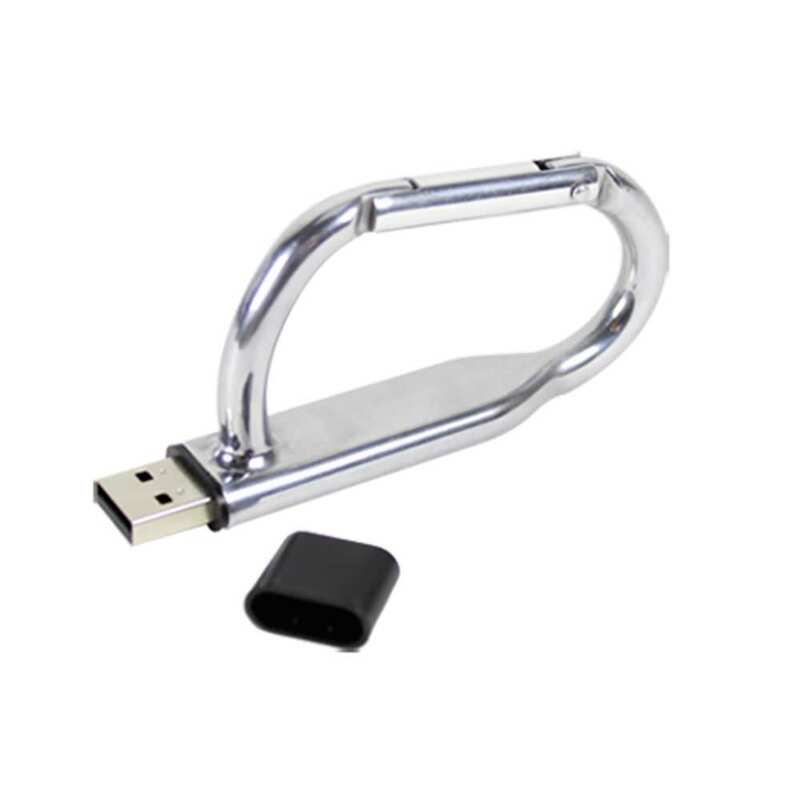 Made of chrome metal with functioning carabiner and a pop off cap to protect the USB port, the Expedition is a must have giveaway item for companies with customers who need form and function. It’s a great item for auto garages, lodges, sporting goods stores, home improvement stores, and more. It offers great transfer speeds (up to USB 3.0) and a wide range of storage capacities making it possible to cater to the needs of your target demographic. 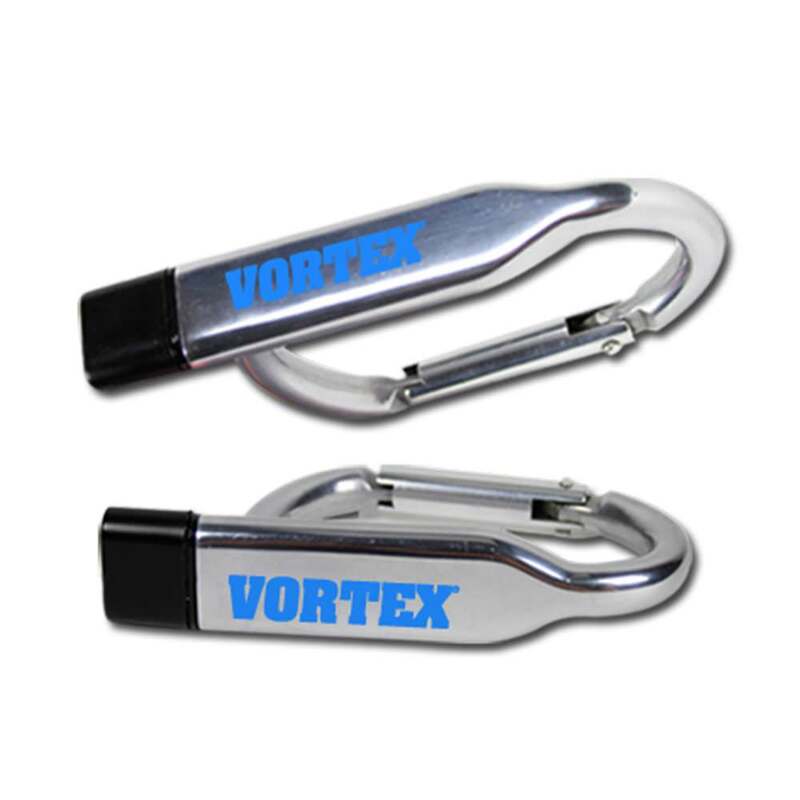 Your custom printed logo will gleam right on top of the carabiner clip.